Public health is credited with adding 25 years to the life expectancy of U.S. residents in the 20th century. IU has played a major role in that success, from fighting on the front lines of the 2014 Ebola outbreak to helping map the human genome. With your help, we can continue to make strides in the fight against debilitating conditions like dementia, cancer, and cardiovascular disease. In addition, we’ll continue to improve patient care and advance public health. For all the lives our research will save, for all the pain our practitioners will alleviate, for the healthier tomorrow you will help us create, we invite you to join us in the For All campaign today. Join us in creating a healthier state, nation, and world. I would like to spend more time treating the underserved. Everyone deserves to live a healthy life. For many people, even here in Indiana, that is not a reality. I hope to help change that. For the 3,000 women who have given part of themselves to research. Literally. In the world’s only healthy breast tissue bank—housed in the IU Simon Cancer Center—researchers have access to human tissue samples that help them determine the differences between healthy and cancerous cells, which could lead to a better understanding of a disease that affects millions of women, men, and their families. Since the founding of the bank, more than 3,000 Indiana women have contributed a precious piece of themselves for study. These women have helped advance the greater good through IU. And so can you. IU students and researchers are addressing the stigma attached to mental illness through the Bring Change 2 Mind project. 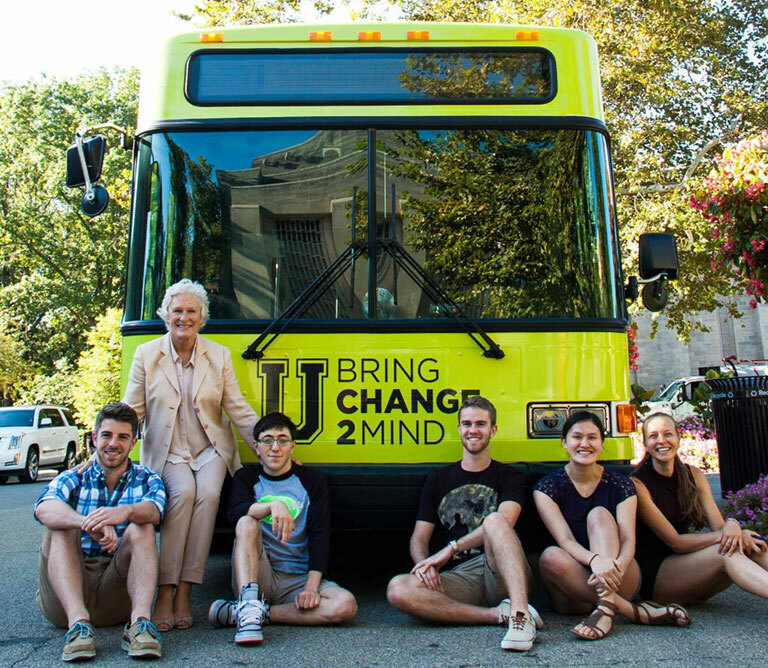 With the partnership of acclaimed actor and activist Glenn Close, teams of students compete to develop the best public awareness campaign for mental health, learning through direct involvement in a unique national outreach program. To learn how you can join us in this momentous effort to create a healthier state, nation, and world, contact Jeffrey Lindauer, Vice President for Advancement Services and Managing Director of Capital Campaigns, at jlindaue@indiana.edu or 812-855-4567.